As we enter Holy Week, we contemplate the need for forgiveness and ask why it is so important to forgive? Forgiveness, from a human perspective, is such a complex multi-layered task that it seems so very hard to do in practice, especially if the harm done to a person by another is truly great or permanent. Surely some of the acts that people perpetuate against each other are simply too heinous to forgive or the hurt so great that it seems impossible to achieve, even with right intent? We are, after all human and fragile; easily hurt, especially if the intent is deliberate. So why does God ask us to forgive? 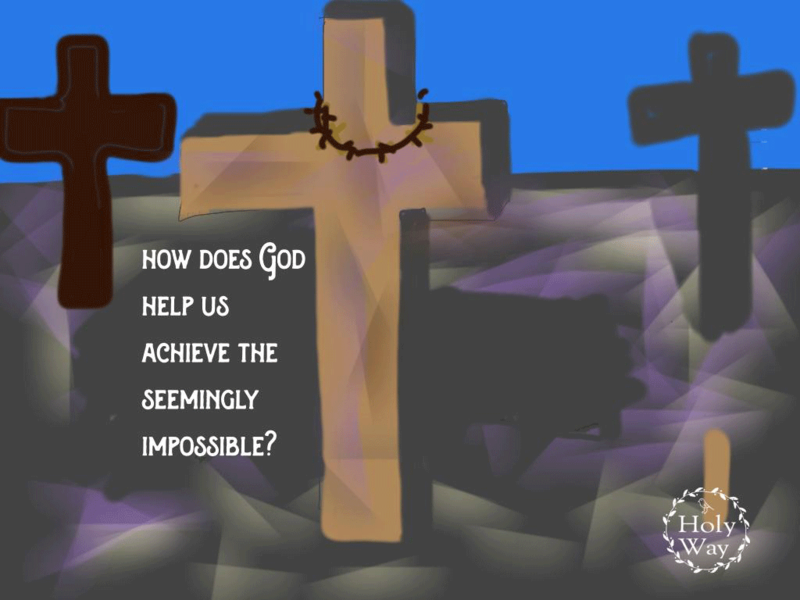 And how does God help us achieve the seemingly impossible? It helps to remember that Jesus lived on the earth amongst us. He was both human and divine. He knows are suffering and our frailty intimately. He saw first hand the harm done to each of us when hurt was not healed. He saw how hurt can diminish us from living fully as we are meant to be, how hurt can turn to hatred or punishment or self-righteous indignation, can eat away at the soul, can disempower and result in people’s lives becoming entrenched and stuck in unhealed grief and anger. He saw the importance of forgiveness, not just as a healing for the other person, but a freedom for ourselves from the harm done to us by others. God asks us to pray for our enemies, presumably all those who hate us and even those who are indifferent, yet still cause us hurt and trespass against us in their ignorance, whether plain or deliberate. In truth this is not easy to do for most. Who would wish to bless those who have hurt you? And yet, this is what God asks. And I have come to understand why. If we do not pray for them and send love to them or at least ask God to do this for us, then we remain caught in hurt, negativity, angst and get sucked down to lower levels of more negative and angry or upset energy. It ruins our live’s even more to dwell in the energy of hurt and the unforgiveness that accompanies it. More than this, if we wish harm on others or wish the same on them as they have done to us, then we become like them or worse. And the negative energy of unlove becomes more than that, because it can move from sin, which we see as an absence of love, to evil, which is wicked and against God. Therefore let us ask God with confidence to come to our aid in praying for everyone truly, not just those we love, but those who we do not like and those who have hurt us, seeing the need to be free from all hurt by embracing the truth and freedom that forgiveness brings. I am not saying it will be easy or even that you will feel that you want to, but if you can step towards forgiveness you step towards love. And when your ability to feel forgiveness fails you, pray for yourself and do not be harsh or self- judgmental. Yet keep asking God to help you begin and find some form of prayer that you can genuinely say. He knows how painful and hard forgiveness is, yet His Mercy overarches everything: pride, hurt, justification, deserving, loss, grief, anger, despair, desolation, rage, humiliation, betrayal, torment and deliberate harm even. And fills the voids in our hearts and minds ultimately with His love and His healing presence. Thank you so much Annie, that is really encouraging.